Update Indiegogo Castle: First Castle sent! This is an important update because we sent last week the first Castle, which is part of the few missing deliveries of our Indiegogo project. It took way more work than anticipated, and we had issues during these last months: we had planned to send more castles by this date, but production issues made this impossible. Due to this, we can’t make a definitive schedule because every Castle printed is a tedious process which can create setbacks every week. We will keep you updated on Indiegogo when the next shipment will be ready, and don’t hesitate to contact me personally for any question or more info on your pledge. This was our first crowdfunding project, and we did some mistakes and learnt from them. Now that we have the first Castle cast, we know not only in theory, but in reality, what are the challenges connected to such a work, and its real costs. 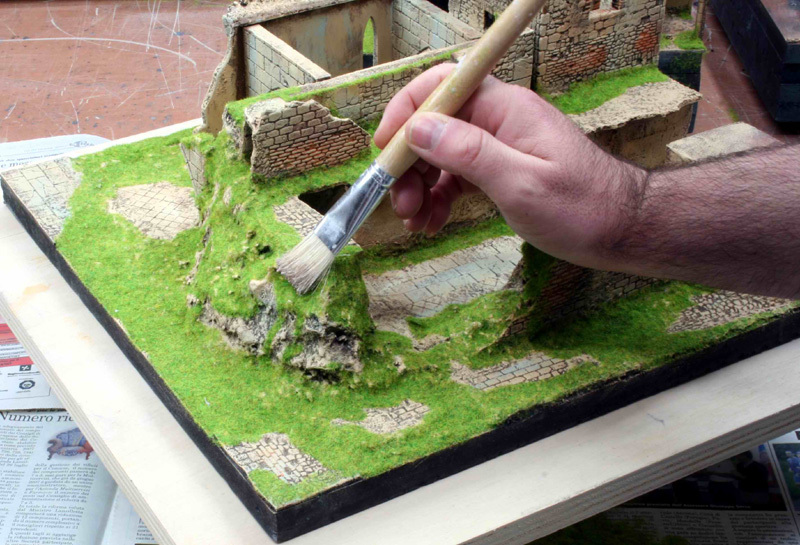 We are assessing also the production times, and will be able to assess them fully once some more castles will have been produced. The production isn’t done directly by MHW but by a third party, due to the very complex “double-print” resin casts which requires specific technology and machines, which also adds to the production and waiting time and brings us to the situation where MHW is able to produce and send products unrelated to the Indiegogo campaign, but has backers here, on Indiegogo, who are still waiting for the Castle. It’s been a long time I didn’t write an update on this first Indiegogo crowdfunding project done by MHW and I apologize for this long delay. I’ve been during this last period in contact with most of you privately, but I realize that a public announcement is often more important than private communications to backers. I should have been more present on the Indiegogo page and the update section on this project. It’s time to change on the matter, and with this update, and in the future, I’ll keep you updated very frequently on any news on the matter. So let’s make a sum-up of the situation nowadays. This Indiegogo project suffered a lot of setbacks and delays, once successfully funded, due to the complexity of the project in itself. If I would have to redo the project from the start, I would divide it into 3 different crowdfunding campaigns. Like I said, it was my first crowdfunding experience, and my enthusiasm about it pushed me to underestimate the issues and complexities. One of the main issues I faced was the production of such complex resins pieces, especially because I am very attentive and nitpicking about the quality (all those who received their goods can attest to that). The biggest obstacle immediately proved to be the Castle. The Castle’s complexity can be shown better in pictures, that you can see now in this same update. Those pictures show you how another version of the Castle (even more complex) will be presented in MHW catalog very soon. Some of you already saw the pictures by private mail. As you can see, it is very complex, and in my humble opinion it’s the most rich and packed modular castle you can find on the market nowadays. Soon, missing Castles will be sent to the last 10 backers who waited for it for 2 years. A very long wait, but thankfully for a great product. 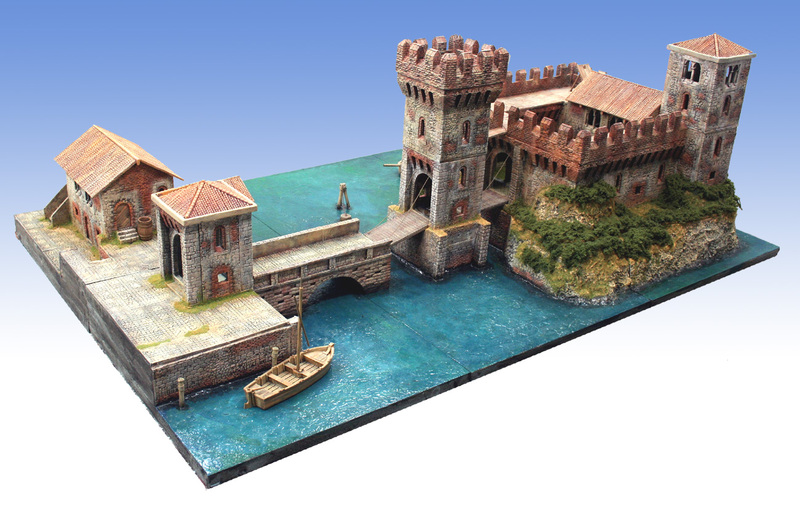 The castle was a very complex piece, but the Watermill, the Arengario, and the whole Village weren’t simple either. The whole production was and is still quite complex and time consuming, especially by keeping the production (quality) standards of MHW. 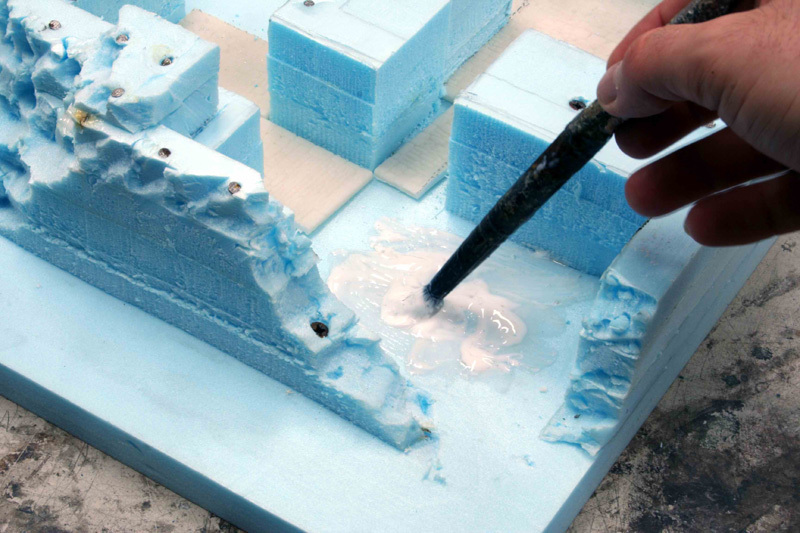 The moulds are quite elaborated and precise, and we use a higher quality of resin to achieve such results, to prevent bubble of air and other imperfections. This doesn’t want to be an excuse towards the backers who are still waiting to receive the product. But it shows, on the contrary, what mistakes I did on my first Crownfunding project. Be it on the delivery time, be it on the project’s complexity, and on the process of production of the pieces. I learned a lot with this first Indiegogo project, and of course I won’t repeat the same mistakes on any other MHW crowdfunding projects. During the next weeks I will send all the missing products to the last backers. I will keep you updated here of any news, and I will also contact privately all those backers about informations of their delivery. Thank you for your infinite patience, let us know as soon as you receive the products, and if you are one of those backers and don’t receive a mail from me, don’t hesitate to contact me immediately. Anche il Barbacane è in produzione. I primi pezzi sono nelle mie mani per le foto di rito. The Barbacane is in production. The first pieces are in my hands for the usual photos. Ci avviciniamo sempre più al completamento del progetto. We are getting closer to the completion of the project. Abbiamo i prototipi delle torri d’angolo del castello e della torre di guardia chiusa. La torre d’angolo del castello: la base e completa della seconda sezione con merli e un aggetto. 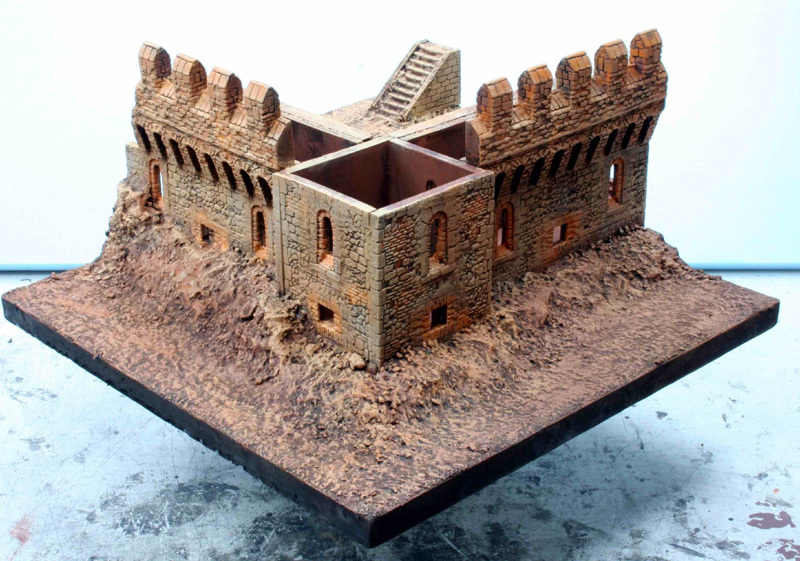 We have the prototypes of the corner towers of the castle and The Watchtower closed. The corner tower of the castle: the base and the second section completed with battlements and an overhang. La torre di guardia con parte superiore completamente “chiusa”. Le due combinazioni di torri di guardia sia chiusa che con le porte assieme alle torri d’angolo e il Barbacane, formano l’ossatura del castello. Ora stiamo preparando gli stampi della base del barbacane e le mura fortificate. Ultimi 2 kits del progetto. The two combinations of the watchtowers no doors and with doors, along with corner towers and the Barbacane, form the backbone of the castle. 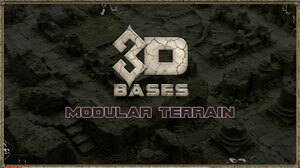 We are now preparing the molds of the base of the Barbacane and fortified walls. Last 2 kits of the project. Aggiornamento sulla produzione della nostra campagna su Indiegogo. Con la lavorazione dell’Arengario e dei rewards abbiamo in produzione oltre l’80% del progetto finanziato. Manca il castello da mandare in lavorazione. Ma vogliamo alleggerire il carico di spedizioni. 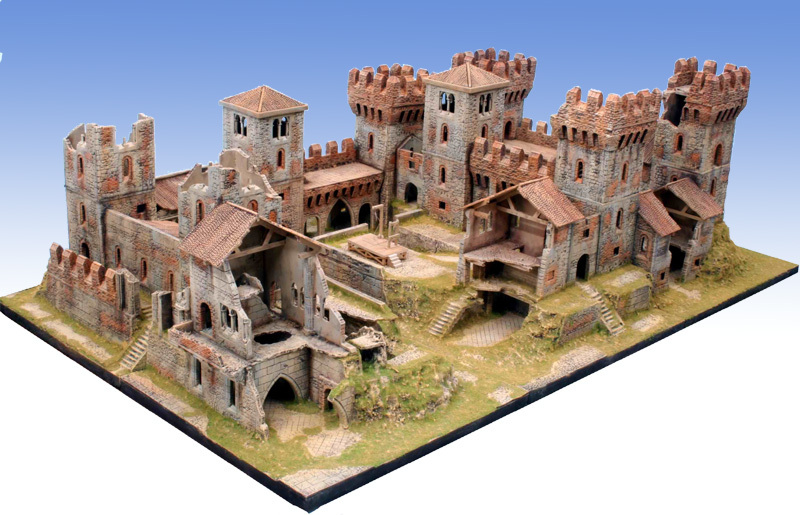 Perciò al momento il nostro stampatore sta producendo abbastanza kits per soddisfare gli ordini che non contengono il castello. Nei prossimi giorni contatteremo i vari funders per sapere la loro disponibilità a ricevere la merce nel mese di Agosto – Settembre. New production update of our campaign on Indiegogo. With the molding of Arengario and rewards we have produced more than 80% of our crowdfunded project. 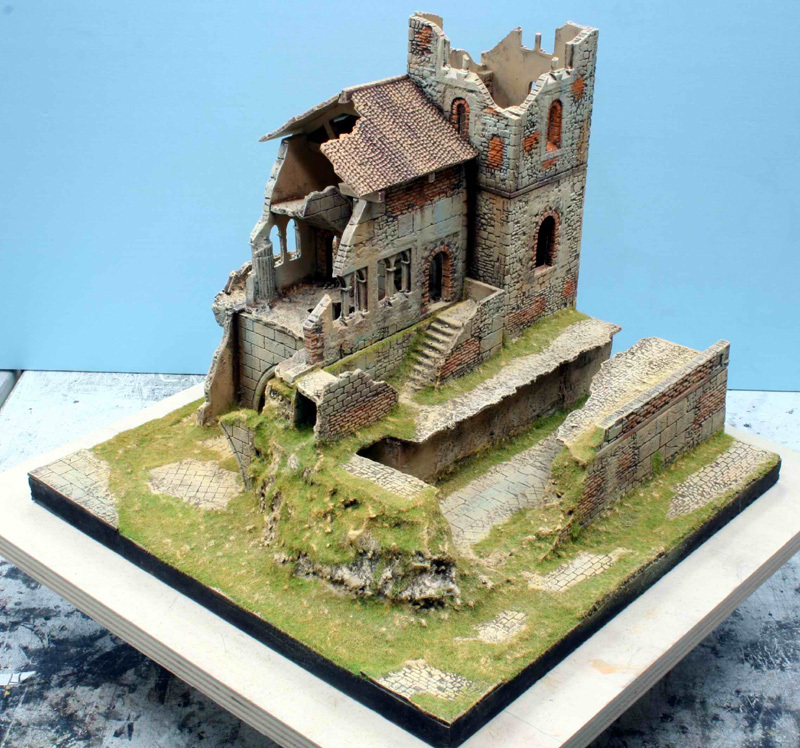 The castle will be our last molded product. 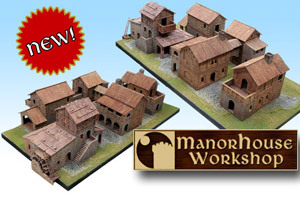 In order to increase our shipments rate, we are now producing kits enough to fulfil all those orders that do not contain the manor. In the coming days we will contact the relative funders to define their availability to receive during August and September. The arrivals of the day. Entro le prossime 3 settimane entrerà in produzione anche il castello concludendo il progetto. Ci scusiamo per il ritardo. Ma, creare e portare a termine un progetto così complesso ha richiesto molto più tempo di quello preventivato. Oltre agli inevitabili e numerosi contrattempi. Within the next three weeks the castle will go into production and the project will come to its end. We do apologize for the delay, but to create and carry out such a complex project has taken us much longer than we expected because of some unplanned drawbacks. Con un “piccolo” ritardo sulla tabella di marcia anche l’Arengario è pronto per essere messo in produzione. Dobbiamo ammettere che questo modello è veramente mastodontico. Con molti pezzi ma semplice da montare ed è un vero piacere per gli occhi. Ancora un attimo di pazienza e con la messa in produzione dell’arengario finalmente il grosso delle spedizioni potranno partire. Ora vi lasciamo alle immagini. With a “little” delay on the roadmap also the Arengario is ready to be put into production. We have to admit that this model is truly mastodontic. With many pieces, but easy to assemble and is a real pleasure for the eyes. Still a moment of patience and the put into production of Arengario finally the bulk of the shipments will start. Now we leave you with images. Versione #1: con le terrazze scoperte. Version # 1: with uncovered terraces. Versione #2: con le terrazze coperte. Version # 2: with covered terraces. 28 x 22 xh 26 cm. il risultato è esaltante.Qualche esempio veloce ma molto d’impatto. Some quick example, but much of impact. Che dire… il limite è solo la fantasia. Entro un paio di giorni verranno inseriti nel nuovo catalogo MHW, insieme a tutti gli ultimi accessori. What can I say … the only limit is your imagination. Within a couple of days will be included in the new MHW catalog, along with all the latest accessories. In tempo utile (30 Giugno) per essere acquistati con il 15% di sconto. In time (June 30) to be purchased with 15% discount. Also the rewards are ready. Anche i rewards sono stati ultimati. Quindi, ora sono in produzione. The rewards have been completed. Now are in production. Questi accessori completano in maniera fantastica gli edifici finora prodotti. 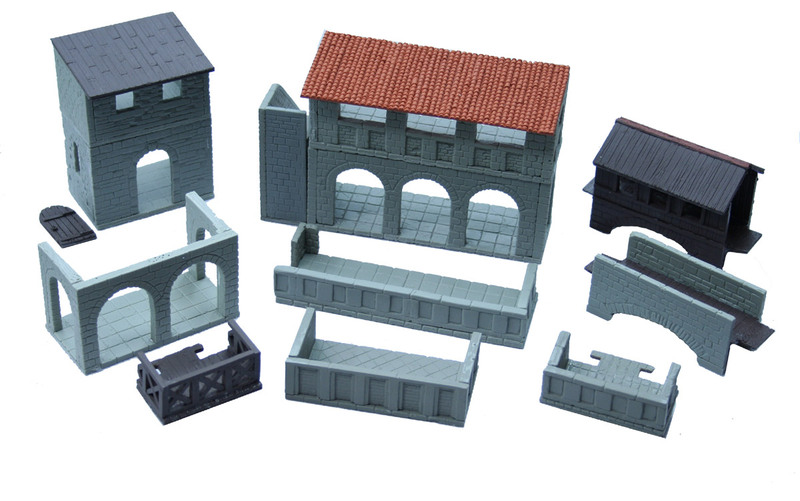 These accessories complement fantastically the buildings produced so far. The first brick houses were casted. Prosegue la lavorazione del nostro progetto finanziato su Indiegogo. Abbiamo le prime copie in resina della case in mattoni. Continued the processing of our project funded on Indiegogo. 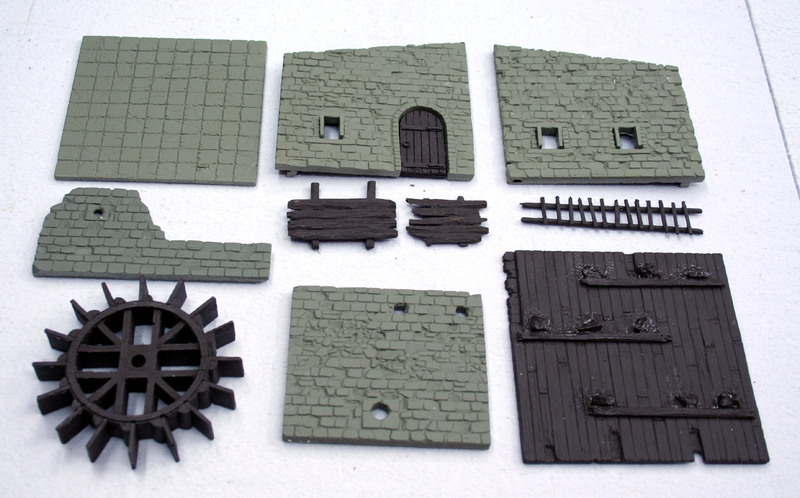 We have the first resin copies of the brick houses. Ora guardiamo all’interno della casa. Now let’s look inside the house. Le possibili combinazioni e giocabilità sono illimitate. Gli edifici nei loro tre formati: 10×5 10×10 15x 10 cm. The possible combinations and the playability are unlimited . 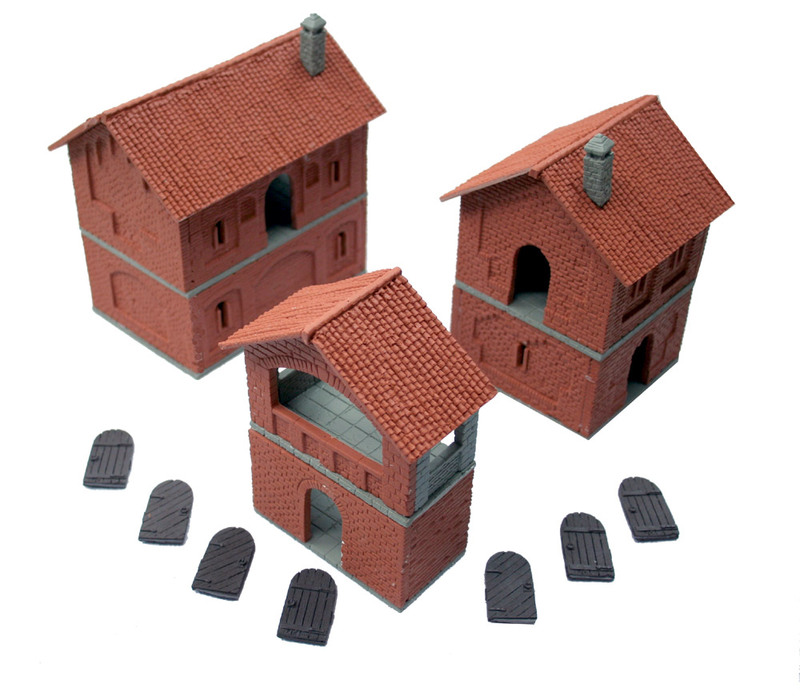 The houses in their three sizes: 10×10 10×5 15x 10 cm. Il risultato finale è proprio accattivante. The end result is really nice.